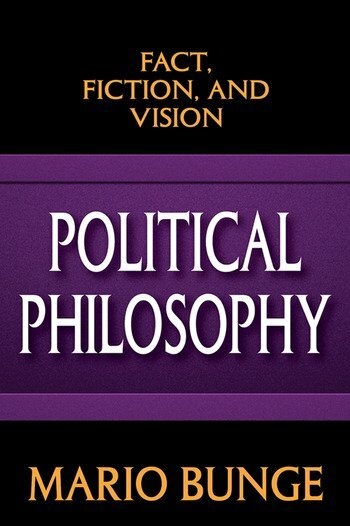 Political philosophy is not a well-defined field. It hovers between political theory and classical philosophy. Few early political thinkers could have anticipated the most pressing political issues of our time: the need to stop global warming; the reduction of nuclear armaments; the rise of inequality between individuals and nations; and the struggle against authoritarianism, particularly when it comes disguised as democracy or as socialism. Here, celebrated philosopher Mario Bunge masterfully integrates socio-political theory into a philosophical exploration of power and resource distribution in the world today. Bunge contends that even recent political thinkers have generally failed to address the political underpinnings of topical issues. Environmental degradation, gender and race discriminations, participative democracy, nationalism, imperialism, the North-South divide, resource wars, and the industrial-military complex have all largely been bypassed in political thinking. Even connections between poverty and environmental degradation, and between inequality and bad health, have escaped the attention of those who would call themselves political thinkers. Bunge believes that political philosophers should pay more attention to social indicators, such as the standard index of income inequality and the United Nations human development index. It is pointless to write about redistributive policies unless we have a shared understanding of current wealth distribution. This is, in short, a modern treatise on socio-political concerns.